For anyone who wishes that the White House would actually possess a great sense of humor—and also finally fulfill America’s long-unrealized dream of a chicken in every pot and a case of SmartWater in every fridge—Tig Notaro and Jennifer Aniston are here to make your dreams come true. In the movies, at least. Deadline reports the two actors will be starring in First Ladies, a political comedy about the first lesbian couple to take on the responsibility of leader of the free world (and spouse). 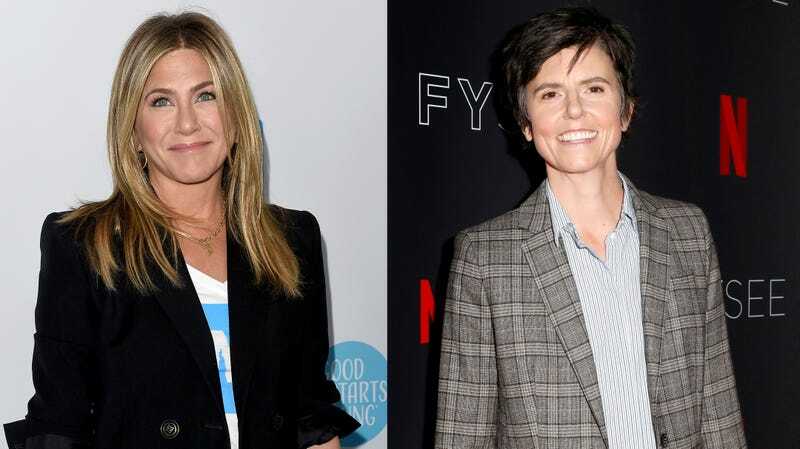 Written by Notaro and Stephanie Allyne, the plot is described via the very silly logline, “When Beverly and Kasey Nicholson move into the White House, they’ll prove that behind every great woman… is another great woman.” Aniston is set to play the role of President, while Notaro will play the first lady, which seems a bit like typecasting given Notaro’s already lengthy experience being just a person. Netflix picked up the movie based on a pitch from Notaro, who already has a relationship with the streaming service: Her Netflix comedy special Happy To Be Here releases May 22, and she’s serving as director of Ellen Degeneres’ upcoming special for the streaming service. No word yet whether Aniston will be playing a Republican or Democrat, but we’re going to go ahead and assume she’ll surprise everyone and resurrect the Bull Moose Party. Kids today always forget about the mighty Bull Moose Party.